I am big on reading. During the summer, I read at least 2 novels a week. I think it's safe to say that I'm an expert when it comes to good books. I love to read novels by Harlan Coben for the most part, but every now and then I need some inspiration. That's when I turn to Connie May Fowler or Charles Martin. "Before Women Had Wings" is a superb work by Ms.Fowler. I have read it 3 times and it's always just as heartbreaking as it was the first time I read it. 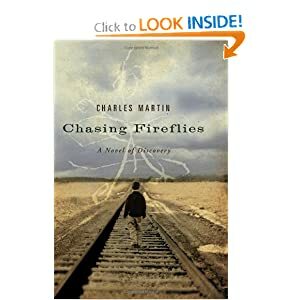 Now, Charles Martin is excellent at writing inspiring novels. The first book I ever read by him was "Chasing Fireflies". I was initially drawn to the book because the setting was in none other than my favorite vacation spot, St. Simons Island, GA. Most of his books take place in the south,which is a big plus for me. I first read the book about 5 years ago, before I had my son Adrian. I decided to read it again not long after he was born, and the book held a new meaning for me since the birth of my baby boy. It was like reading it for the first time. This would definitely be the book I would recommend to those who has yet to read anything by him. 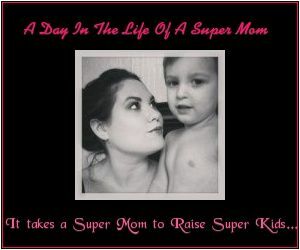 And if you're a single mom a son/sons, this will certainly touch your heart. "Never settle for less than the truth," she told him. But when you don't even know your real name, the truth gets a little complicated. It can nestle so close to home it's hard to see. It can even flourish inside a lie. And as Chase Walker discovered, learning the truth about who you are can be as elusive—and as magical—as chasing fireflies on a summer night. A haunting story about fishing, baseball, home cooking, and other matters of life and death. Ive been trying figure out how to comment maybe this time it works ?